Our 20-seat plane skipped and bounced down the dirt runway and I had to blink a few times to realize that I was looking out the window at the African bush. Just 20 hours ago, I was waving goodbye to glittering Manhattan and now I was on a charter flight over the rolling plains of the Sabi Sands. Our pilot joked that he usually saw lions on this airstrip as he touched down. This was Africa and here it doesn’t matter who you are or where you are coming from, you all just dive right in. I was embarking on my second Living Local, Traveling Global video series and though the first was also in Africa, up North in Egypt, already South Africa seemed like a world away. The first half of our Swain Destinations custom tour was spent on the Sabi Sands Game Reserve, a private section of the famous Kruger National Park. And for a guide, we had none other than President & Owner Ian Swain himself. His vast travel knowledge, expertise in South Africa and his humor, made us feel privileged to see this country with such an experienced guide. Our luxury digs, Singita Castleton camp, felt fit for a member of the royal family. We had hand-prepared meals with seemingly endless dishes, rooms straight out of Out of Africa, drawing rooms where Teddy Roosevelt would have reflected, and a full staff that anticipated all our needs before we did. The same staff even donned their traditional dress to surprise us with a bush barbecue, or bomo, and they taught me how to sing & dance around a bonfire. And of course, I can’t forget to mention the rotating backdrop of animals, everywhere. The nearly invisible fence that separated us from all the gazelles, giraffes, elephants, lions, hippos and more was just yards away from my cottage door. Yet out on our early morning game drives, there were no fences. Cheetahs curiously walked up to our truck. I watched lionesses and cubs munch on a tasty kudu. We sat right into the middle of a pack of 300 lounging Cape Buffalo. We even saw the elusive jaguar noshing on its fresh kill up in a tree as a hyena circled menacingly below. Our two expert guides grew up on these lands; our tracker was from a nearby tribe, and I swear he had a sixth sense because he could just feel where the animals were even though we couldn’t see them. This was everyday life in the wild South Africa and we were right in the heart of it. Cape Town was just as upfront and in-your-face as the game reserve. Next, we jetted down to the vibrant coastal city of Cape Town for the second half of our trip. All the magnificence of this city and the region surrounding it just smacks the breath out of you. 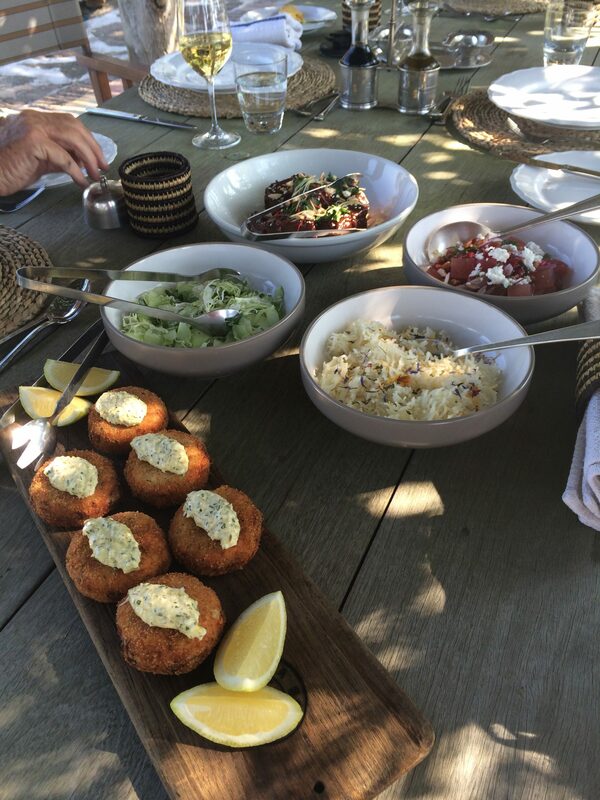 One minute we are chatting with the restaurant owner of one of the most coveted tables in town, and the next, we are sipping reserve wines from the Cape Winelands before a behind-the-scenes winery tour. I even got friendly with a cheetah cub that tried to “play” with me as I petted him at a conservation center. 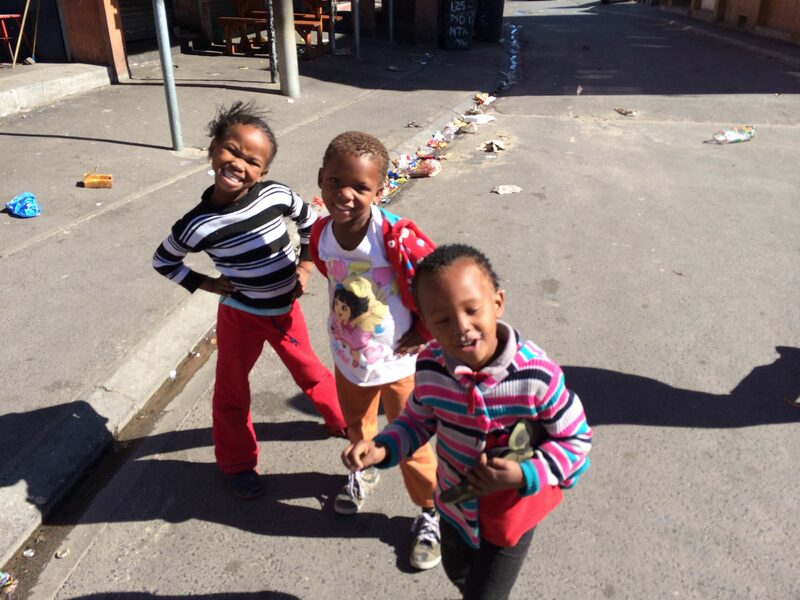 The most intensely real experience was spending a few hours in the Langa Township, Cape Town’s oldest. Children ran up to us on the street, young moms brightened as I took Polaroid picture of their babies and a grandmother hawked her t-shirts to us from her front step. We were invited into their homes. We cooked sheep’s head soup, we sang with a woman making homemade “beer” in the shantytown…we tasted real life in a township. This was not a sugarcoated tour. South Africa just embraced us with open arms and Swain Destinations made it possible for us to step right in. Whether it was the surprise visit by the pack of elephants to the giggles shared with two little girls staring at their Polaroid photo, briefly I was a part of this country. These tours don’t keep you at arm’s length. They set up these experiences and then stepped back to let the real magic of travel unfold all around us. Kelley Ferro is a travel expert & video journalist living in NYC. She films her show, Get Lost, around the world–hopping on a plane at least twice a month She is also the executive producer for Tripfilms.com. For more on her travels, follow Kelley’s Facebook page. 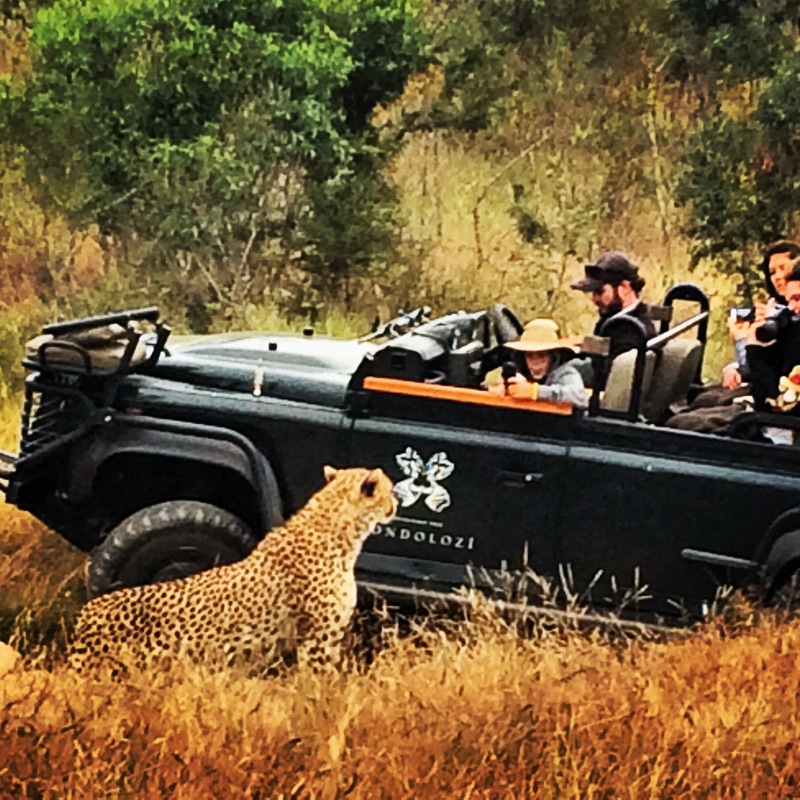 To me, South Africa is one of the most fascinating countries to visit. It is furiously multi-cultural; a young democracy struggling to grow up fast to meet the country’s many challenges. When I was invited to join Collette’s tour back in April, I was overjoyed, and at the same time I was a little hesitant to accept my assignment. The charge was to ‘travel like a local’ and I wasn’t quite sure how to accomplish that in a group, dashing from highlight to highlight across South Africa. The minute we met our South African ground connection and guide Tesse Easingwood– it was clear, we’d experience our travel through a local’s perspective. Tesse has boundless energy, compassion, knowledge, and humor. With her in charge we had no choice, but to see the real South Africa–the good, and sometimes also the difficult. To start, Tesse was refreshingly upfront about her background: “Before you ask, of course I grew up during Apartheid. My entire family, including me, were pro apartheid.” Her family, like many others, left as soon as Nelson Mandela came to power in 1994. Tesse wasn’t prepared at all to follow in the footsteps of her family. Determined to share the new, emerging country with travelers, she stayed: “How could I not? I love South Africa!”.